Our residents stay active by participating in exercise groups, religious activities, music programs and social. They enjoy book clubs and many games such as dominoes and bingo. We have our own chapter of the Red Hat Society which meets monthly and we also have a Men's group. We are fortunate to have groups from our community who come to sing, dance, preach or just visit. We also enjoy going on bowling trips, picnics, shopping, fishing trips, and weekly rides around town. A day camp for children ages 5 through 10. It gives the children the opportunity to come spend time at the nursing home and get to know our residents. The residents enjoy teaching the children about the way things used to be and they all enjoy having fun together. There are games, crafts, and fun for all. 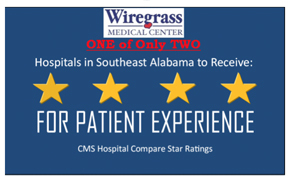 This program has been recognized by the Alabama Nursing Home Association as a "Best Practice". Our staff was given the opportunity to present this program to nursing home staff members from facilities around the state in October of 2005. Entertainment throughout the day, Arts and Crafts booths to browse through, Activities for children, a great day for the family.